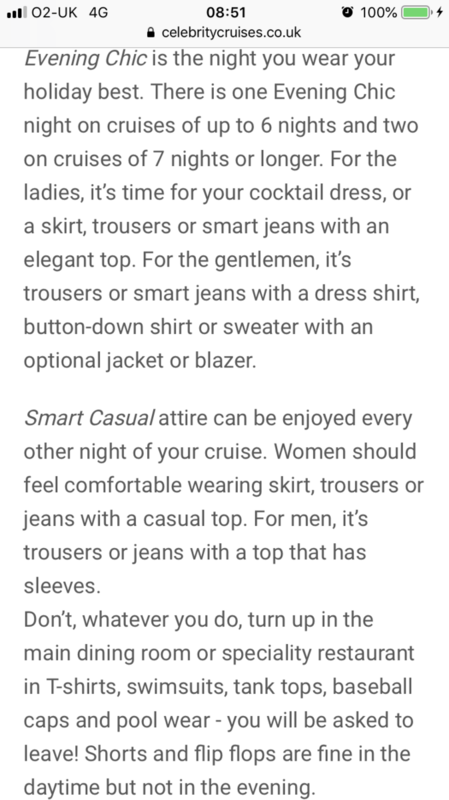 The suggested dress guidelines are the same for the evening no matter the ship. What you described is perfectly acceptable. Celebrity's website also is a good source for what they suggest. 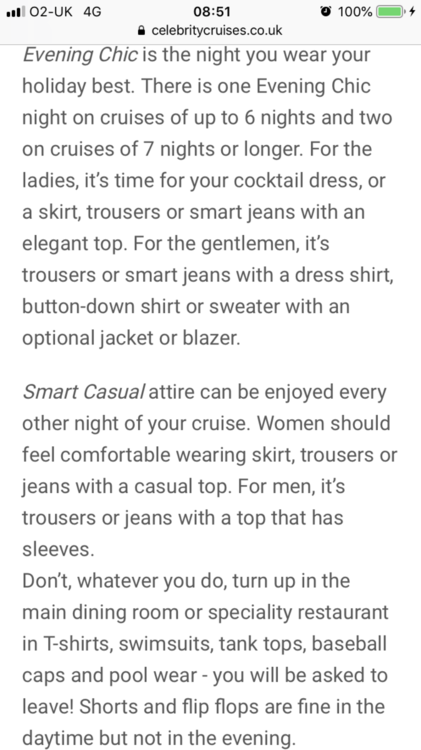 Officially Smart Casual is the dress code always in Luminae and Specialty Restaurants. Most guests do however follow the Chic Night dress code.